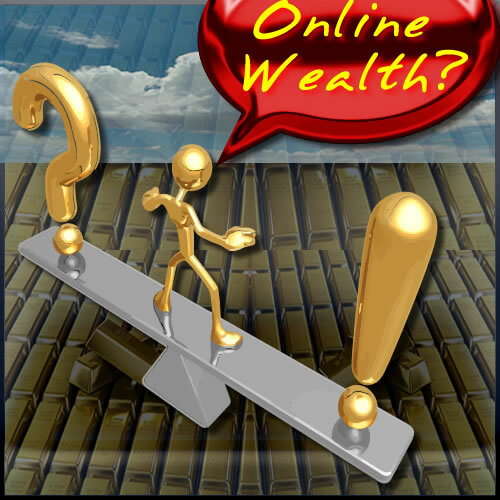 “Online Wealth Shortcuts” Mith- true or busted? $1/minute, $50 per day, $100 per hour, $10000 per week, millionaire in 1 year…-How many claims of this kind have you seen lately? It is true, the internet is a wonderful place and full of possibilities. What most people forget is that is also a hard and cold place for those willing to earn a living on it. The simplest statistic fact can tell you that not only it is not easier to earn your living online, but it is MUCH harder! For example, the success rate for a brick-and-mortar business is averaging 5% or more. The online success rate is 2%… Need I say more? The human nature makes us willing to dream, willing to accept all kind of crazy promises. The same human nature lures “newbies” every day to pay-per-click, pay-per-read, 2×2, 4×4 and all kind of make-money-quick schemes. It is nothing wrong to dream and wish your dreams to become true. It is however stupid to trust this shortcuts that will “guarantee” you instant wealth. If somebody would came to your door with the same proposal, would you agree? Probably not. But many are blind when it came to online world, just because it seems everything its possible on the ‘NET. I know “guru’s” that only caters to the constant stream of dreamers that flow online every day and are making millions! Just by telling them that basically they need to really work really hard to make it online! And this is the truth – if you wish to succeed, you need to put yourself out there and work hard, or even harder than the others. This is the only way you’ll stand a chance to earn something online. I’m not saying shortcuts don’t exist. plenty are there and more are waiting to be discovered. But if you truly wish to succeed, START WORKING. More than in any other business, you need to persevere, you need to build yourself an image. You need to have a solid foundation for your business. You could always buy a $1 or $5 or $50 webpage but what would that say about you? Is that the image you want to promote? Many newcomers do the same mistake, they are lured into cheap or copycat websites that are doing them no good. Who will know you among hundreds of identically-looking websites? In order to stand out, you really need to invest your time or get somebody to work for you so you can be remarked. There are a lot of brilliant designers and freelancers that can help you, or if you like our work, take a look at our offer. I can only guarantee you that nobody else will offer you the same package.